So I stayed up all night watching Gringo, a movie which I planned to watch as my Sunday matinée but I was too amped up to sleep having waited for this movie to hit the web for months on end. Even more so because of the star power. A movie starring David Oyelowo, Charlize Theron, Joel Edgerton, and Amanda Seyfried, Thandie Newton is supposed to be really good, right? Wrong! One thought that surfaced frequently in my mind over the 111 runtime of this movie was "This is supposed to be a comedy, right". So I checked and according to IMDB, it is. This here is how IMDB describes the movie. a dark comedy mixed with white-knuckle action and dramatic intrigue, explores the battle of survival for businessman Harold Soyinka (David Oyelowo) when he finds himself crossing the line from law-abiding citizen to wanted criminal. Don't get me wrong, the movie has its "funny" moments but however it isn't enough to justify the assigned genre. The movie seemed to dabble across a few genres, unfortunately not quite well. While David Oyelowo is a brilliant actor and has the range to play comedy, his performance at times felt contrived. Which is also what one could say about the performances delivered by Joel Edgerton and Charlize Theron. 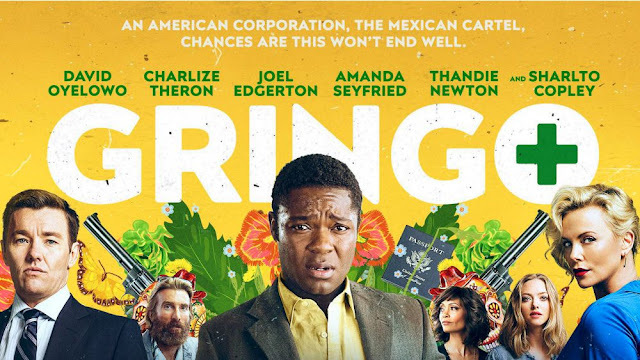 Gringo which was supposed to be funny but I couldn't think of a scene that made laugh. It felt like it dragged on for too long. At the end of the day, I thought the movie would be good but it was quite disappointing.